There were six flags planted by the Apollo astronauts (Apollo 11, 12, 14, 15, 16, and 17). But the other acceptable answer is zero. The flags flown to the moon were not specially made to survive on the moon, but just ones anyone could buy at a local store. The first flag was purchased from a New Jersey flag company for $5.50 and was made from nylon cloth. 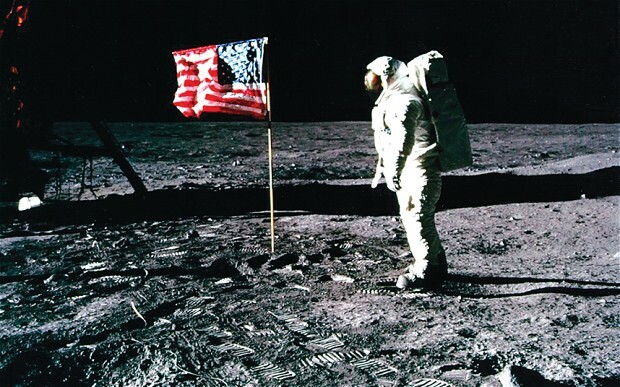 Although no one has been on the moon since 1972 to verify it, the general consensus among scientists is that the flags have been bleached white by the intense ultraviolet radiation from the sun they’ve been subjected to for over 40 years. So, while NASA says photographic evidence shows that five of the six flags are still standing, they are no longer American flags. Thanks to all for checking in.